What an exciting first week of the Bountiful Blog Tour! I told you I had a talented bunch of Makers lined up for this tour--was I right??!! Bountiful is my newest fabric collection for Art Gallery Fabrics that celebrates the beauty and natural resources of the vast countryside in America's Midwest. You can find a full resource list of shops carrying my fabrics on the Shop Fabrics page on this blog. My good friend and the sweetest person on this planet, Heidi Staples of Fabric Mutt started our tour with her Four-Patch quilt. She made this quilt with 20 fat eighths--one of every print in the Bountiful collection. This would be a fabulous beginner project and I love how the simple design shows off my prints and how it looks right at home in a Texas landscape. Heidi's oldest daughter has claimed this quilt for her bed--smart girl! Read more about this fun quilt on Heidi's blog. The fabulous and funny Emily Dennis of Quilty Love showed us how amazing my Bountiful fabrics look in her modern Triangle Pop quilt. Emily used prints mostly from the Plant colorway from the collection with a Kona cotton silver background. I love how graphic this quilt is! Read more about this quilt and the pattern on Emily's blog. Wednesday was the adorable Minki Kim's day of Minki Kim and she wowed us with four works of art. Her detailed pot holders are mini masterpieces with how she's mixed and matched the different Bountiful fabric prints. These are too pretty to use when cooking and should be hung on the wall and admired! See more delightful photos and read about Minki's makes on her blog. On Thursday, the talented Heather Andrus of Quilt Story wrote about her amazing totes. I'm so impressed with how Heather upcycled a bargain purse into a fresh new look with my Arborescent Seasons canvas from the Bountiful collection. She also was able to make an adorable tote bag that her daughter is using for her books. 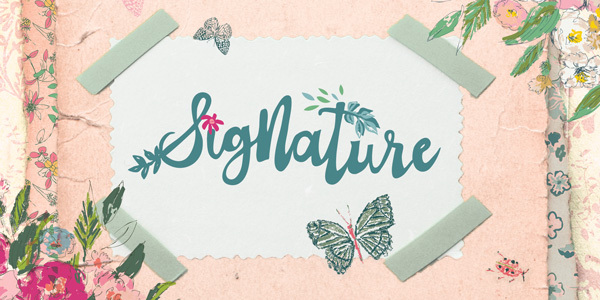 Get all the details on these makes on Heather's blog. I couldn't have a blog tour with out my good friend Sharon McConnell of Color Girl Quilts. Sharon is known for her riot of prints and colors in a quilt and stunning quilt designs. 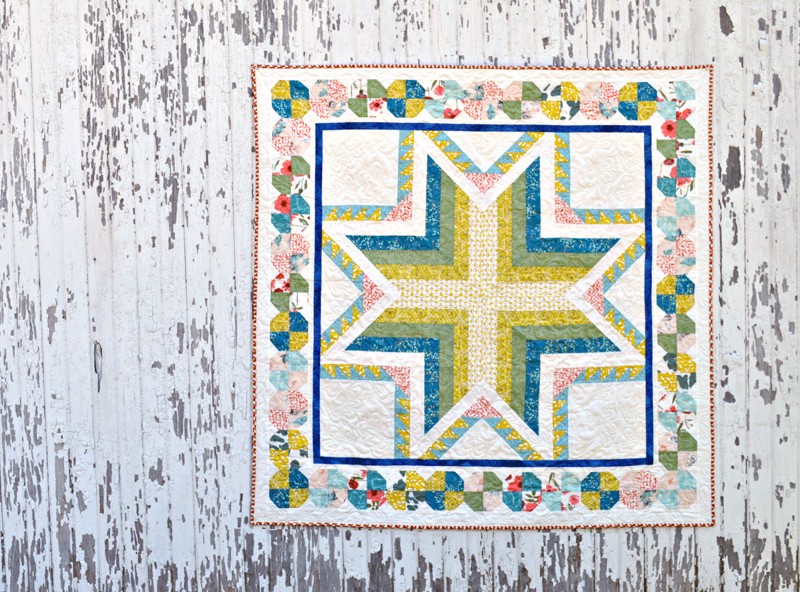 For the Bountiful Blog Tour she chose to make the center star and first border of her Pixie Medallion quilt pattern for the gorgeous Bountiful Star wall or baby-size quilt. Isn't this amazing? Learn more about this pattern on Sharon's blog. 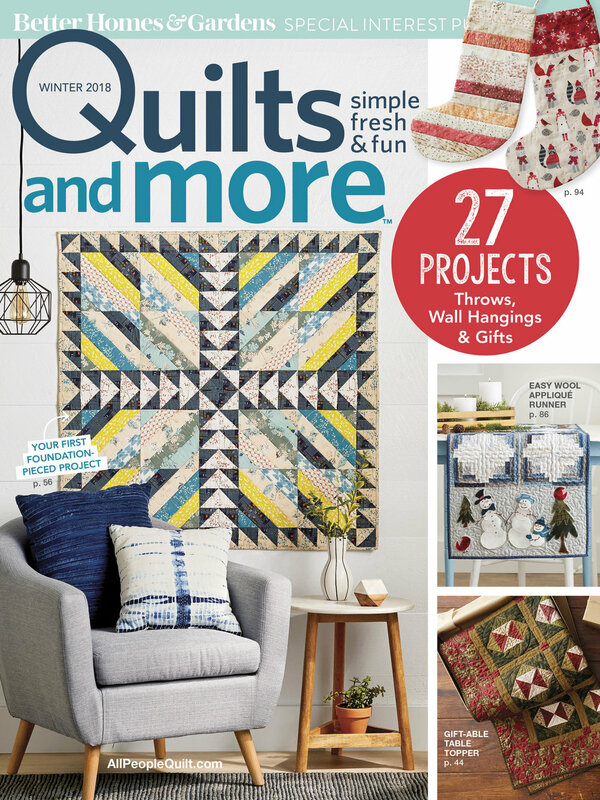 As many of you already know I've been busy behind the scenes preparing quilts and projects for the Art Gallery Fabrics Bountiful Lookbook. 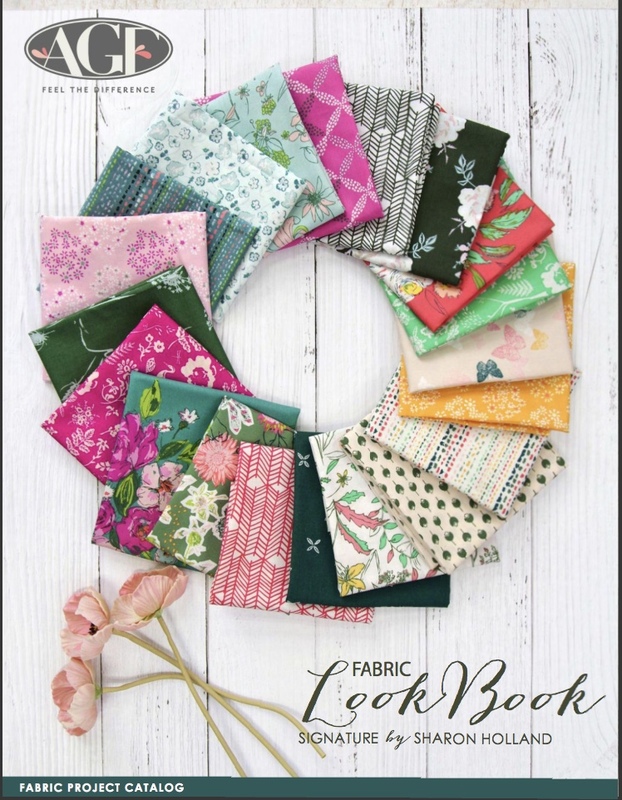 The AGF Lookbooks are virtual magazines packed with the story behind the collection, quilts, garments, and projects all made from the collection. 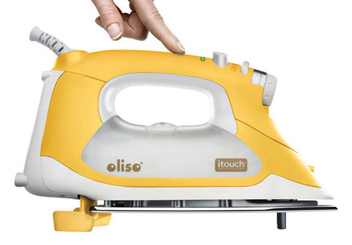 It's an amazing resource of sewing ideas and direct links to patterns and where to get the fabrics. 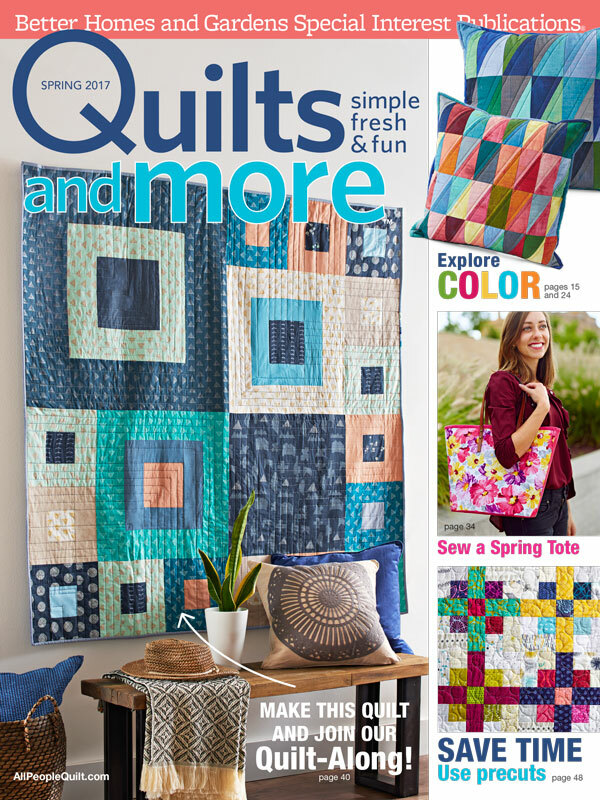 Every fabric line from AGF has a free quilt that can be downloaded from the AGF site. Bountiful will have a fun pattern available once the Lookbook has been released. You can see just a peek of it in the above photo. 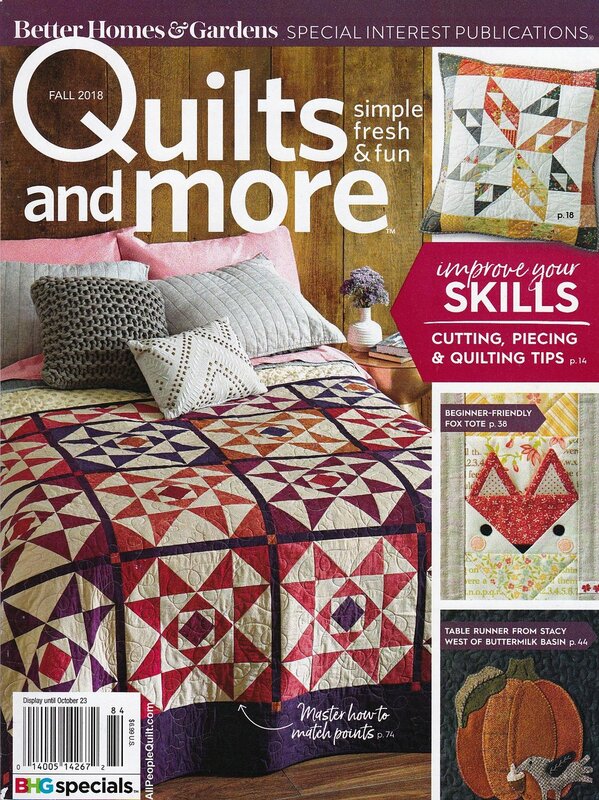 I have two new quilt patterns available for purchase through Craftsy. View all my patterns for purchase on my Shop Patterns page. My first new pattern is called Platform and is a fast make with a graphic pop. 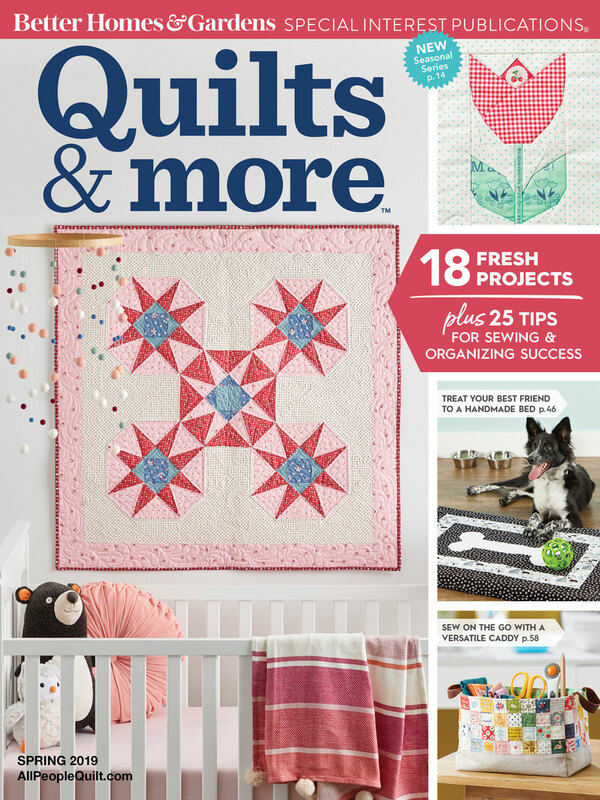 This quilt is 50" square and the perfect lap-size quilt or one to take on a outing for an impromptu spring picnic. It uses only 4 fat quarters for the prints and I love how this collection pairs with the AGF denims. I used two different smooth denims (chambray like) for some rustic-fun utility quilt vibe. My second new pattern is called Knob and Wire inspired by old electric wiring found in many barns and buildings. This is a 78-1/2'' x 84-1/2'' bed-size quilt that has amazing graphic quality in any room. I love the fine, Empire Yellow Pure Element solid strips that run through the blocks. This is made with 7 different fabrics in the knobs and Haymow Stack print for the background. Strip sets make this a fast project to make and I machine quilted it with simple horizontal straight-lines for a fast finish. I hope you will join me Monday, April 10th at 4 pm Eastern as I am interviewed by the beloved Pat Sloan. Catch the live interview here or here. 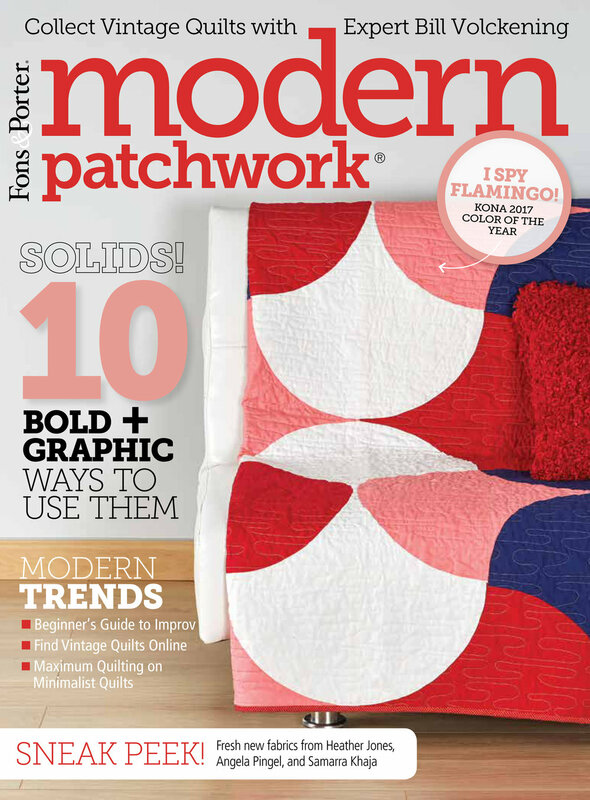 I'm so honored to be on Pat's show and talk about quilting and being a designer.